Serious times demand a SERIOUS MAN, not a "Good ol' boy!!!" 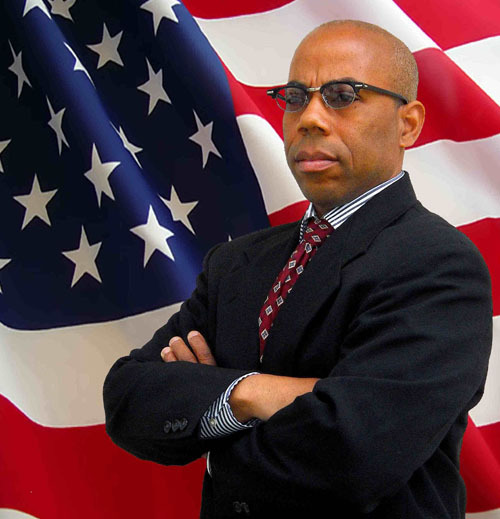 Gregory Cheadle, MPA, JD, is the man for congress because he puts principle before party! His varied background and determination as an 1856 Republican to protect the defenseless, to do what is right and not what is politically correct for the country, cements his place as a candidate of the people, by the people, and for the people! Cheadle was not born "privileged" nor with the proverbial "silver spoon" in his mouth. As a consequence, he knows what it is like to struggle and pull yourself up by the bootstraps. Having lived through the era of segregation, Mr. Cheadle is an advocate for education and equal opportunity. His main areas of concern are health care and reducing the tax burden on citizens. Mr. Cheadle's undergrad degree is in psychology (physiological) and pre-med. He has a Masters degree in Public Administration with an emphasis in healthcare administration. He recently received his Doctor of Jurisprudence (law) degree. In addition, Mr. Cheadle is a real estate broker, luxury playhouse builder, and has an emergency teaching credential that allows him to be a substitute teacher. Always one to give back to the community, for the past 12 years Mr. Cheadle has spent his Friday nights volunteering in the ER of the local hospital.